Implement an effective reminder system. It seems like a very obvious piece of advice, but you would be surprised by how many medical offices lack an effective reminder system. Schedule appointments at the first available time that is convenient to their schedule. If you are scheduling your patients weeks or months out, they are more likely to forget their appointment. When patients fail to show, ask them why. This gives you a chance to offer additional support to that patient or identify trends that may be happening across multiple patients or appointments. Offer incentives to patients who prepay for their appointments. 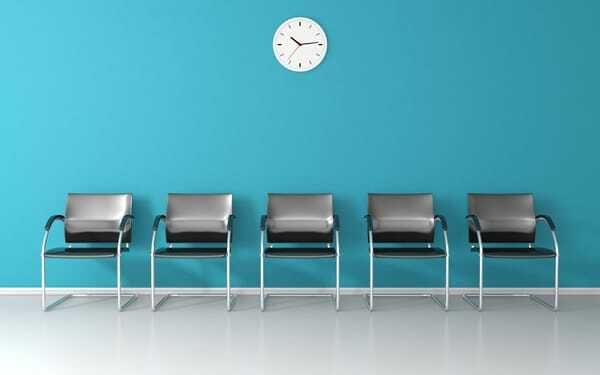 Patients are less likely to miss an appointment they have already paid for. Partner with a reliable local patient transport service. Working with a patient transport service not only reduces no-shows, but it also improves patient medical compliance and satisfaction. Moreover, it gives your bottom line a significant boost, offering an incredible return on your transportation investment. At MedBridge Transport, we understand that patient no-shows are an unnecessary burden to your practice, and we are proud to be a resource and system of support for the medical professionals that serve our community. Contact us today for more details. There is so much planning that goes into admitting a loved one for outpatient care. Family caregivers are typically so meticulous about this process, which is why it’s so surprising when healthcare providers find that no discharge arrangements have been made. In fact, it’s a common situation that can have a terrible emotional impact on the patient and can also be quite frustrating for your nursing and administrative staff. Require your team to dedicate a staff member to supervising the discharged patient while arrangements are made, which creates a staffing burden for your in-house team. Have a negative impact on the patient’s overall experience with your practice, leaving them feeling alone and unattended to. Reduce the likelihood of patient compliance with discharge instructions, prescriptions, follow-up visits, and more. How will your patients get home after their outpatient appointment or procedure has been completed? In many cases, family caregivers are not equipped to plan for this transition, and they have reasonable expectations for your administrative and patient care team to support them in making those arrangements. At MedBridge Transport, we make it easy for you to meet that demand. We work hard to ensure that our procedures integrate seamlessly with your intake and discharge process, and booking a ride for your patients is simple and hassle-free. Contact us today for details. Copyright 2019 StarBridge Holdings Co, DBA MedBridge Transport. All rights reserved.